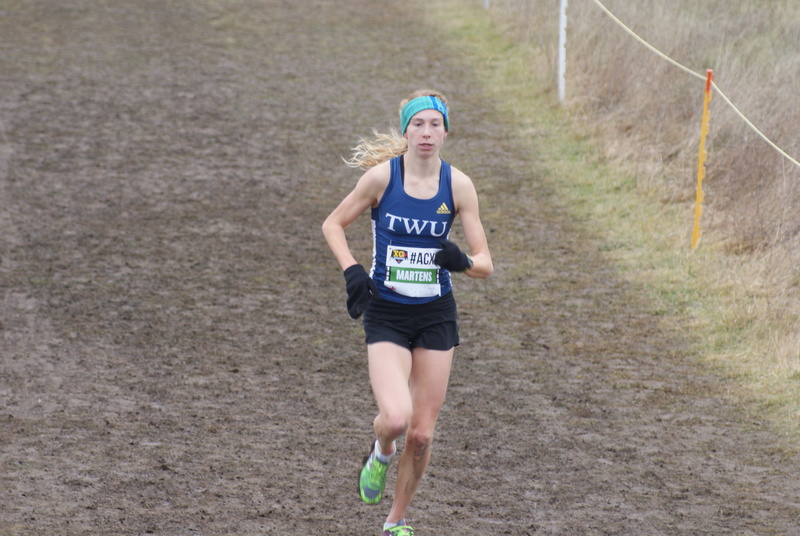 Overcoming a fall in the first 100m and a lost shoe in the last 2 km, Wolves Athletics Club runner Mirelle Martens gutted out an 8th place finish in the Junior Women’s race at the Athletics Canada National Cross Country Running Championships in Kingston, ON on Saturday. Martens recorded a time of 21:40 for the muddy 6 km track. Hannah Bennison from Vernon, BC won the race in 20:29. With cross country season finished, Martens now sets her sights on the indoor track season starting in January. This entry was posted in Cross Country, Uncategorized and tagged 2015 Athletics Canada Cross Country Running championships, Athletics Alberta, Athletics Canada, Cross Country Running, Kingston ON, mirelle martens, Trinity Western University, Wolves Athletics Club, Wolves Cross Country Running. Bookmark the permalink.